If there is one thing that is universal for every single preschool program it's that you never seem to have enough materials for all of the activities that you want to do with the children. Over the years I've gotten pretty good at creating fun experiences with very few supplies. I thought it would be fun to focus on one simple supply and share a ton of easy activities that you can do to meet different learning domains. This week is going to be all about things you can do with yarn. Yarn is the perfect material for practicing fine motor skills because you can use it to string a variety of objects. Stringing requires children to manipulate fingers on both hands at the same time. They have to hold onto the string while also holding onto the object they are stringing, and they have to be able to stick the yarn through the object, and keep it their until they can grab the string on the other side. As adults we take this process for granted, but if you've ever taken the time to watch a child work through it then you know just how complicated this process is. There are Beads available in just about every size, shape, color, and material. You can also purchase beads with large holes, or beads with small holes. My favorite thing to help children string is pasta. It also offers a variety of shapes and sizes, and it can be dyed to fit whatever season or theme you are currently exploring (here is a great tutorial if you've never tried to dye your own pasta before). 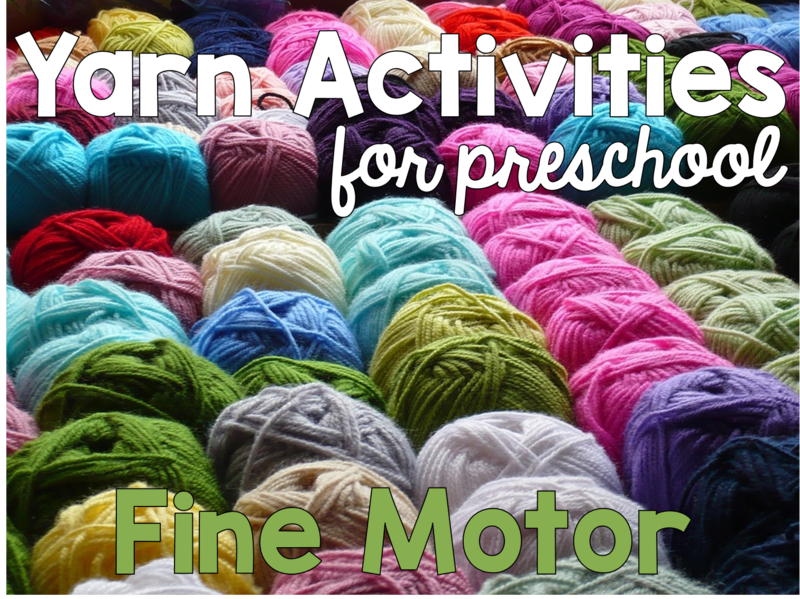 What are your favorite fine motor activities to do with yarn?